convention centre, delicious food, stylish presentation and impeccable service. 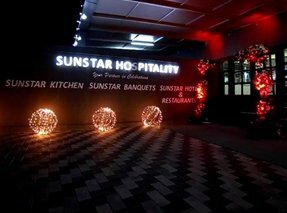 We "Sunstar" are in to the business of convention centres and catering services in Kerala with a long track record and expertise in the hospitality industry. 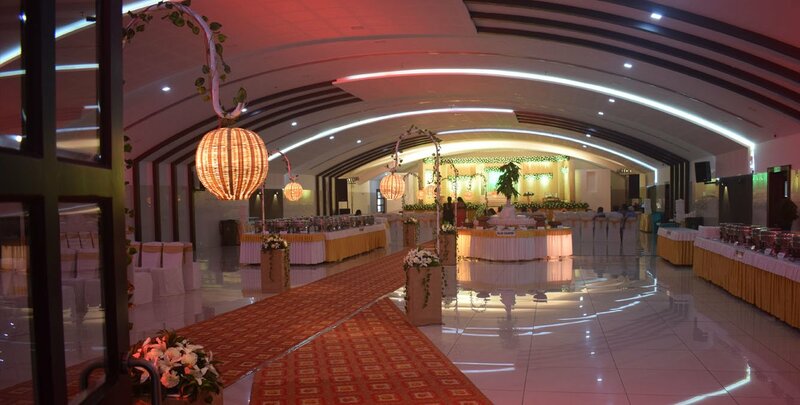 We guide you through every aspect of organizing your celebration, whether it is a betrothal, marriage, an event of achievement, small time parties like christening, Holy Communion or marriage fixing. 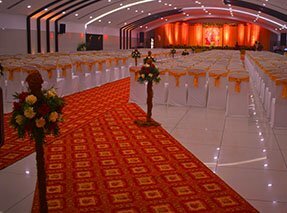 Sunstar Convention Centre is a state of the art venue for celebrations; where everyone dreams to have a beautiful event. And more often than not, it ends better than the dreams. Sunstar bakery and confectionary division takes great pride in consistently providing high quality products using only the finest ingredients. At Sunstar Food Plaza, one can buy hot, healthy, tasty food of choice by parcel .A complete solution to food parcel for your home, office or a quick bite in your car. 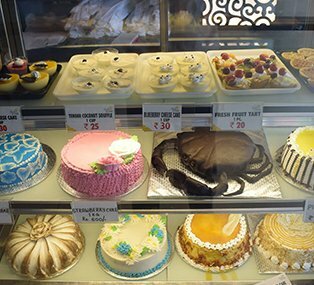 Sunstar bakery and confectionary division takes great pride in consistently providing high quality products using only the finest ingredients. At Sunstar food Plaza, one can buy hot, healthy, tasty food of choice by parcel. It has all what you are looking from a modern bakery. Catering is our passion. We love what we do and we offer our client an amazing experience at the same time, offering tremendous value for money. 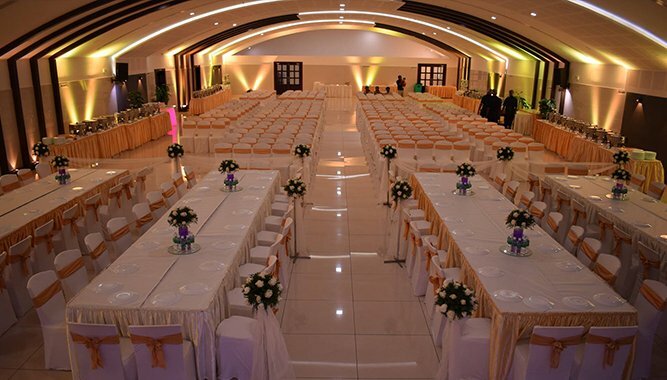 At Sunstar we explore all avenues of catering services to serve our clients. 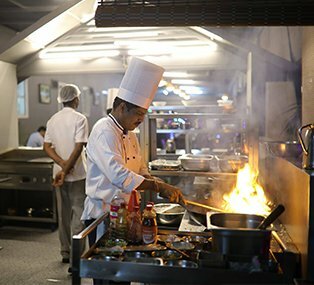 Be it a plan to entertain a small group at home or office or a full scale reception like marriage functions, we can cover all aspects of your catering needs for providing gourmet cuisine to styling your event to suit your preferences. Our menus are imaginative and always delicious and are produced from sustainably sourced, organically / ethnically produced ingredients with the maximum carbon foot prints, contributing to our corporate social responsibility policy. 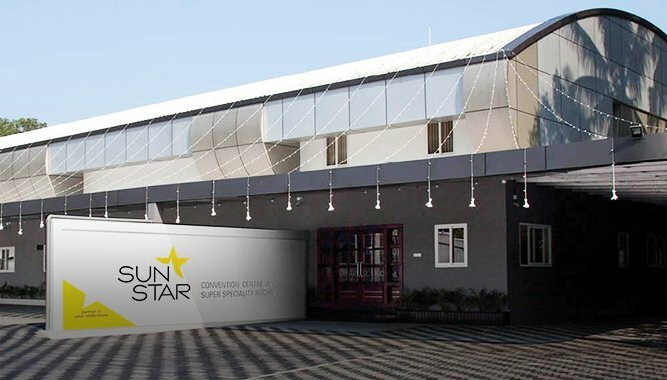 Sunstar super specialty kitchen is a 14,000 sq. 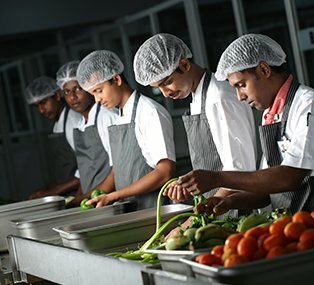 ft. food production and packing house with state of the art infrastructure and world’s most modern technology equipments. The centre complies with the highest world standards to ensure that products are health solutions and not just food. We will supply, look after and direct all aspects of creative event lighting. 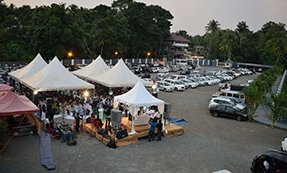 With access to some of the greatest performers in Kerala and other parts of India, we can deliver a bespoke entertainment package or individual artist that is perfect for your event. 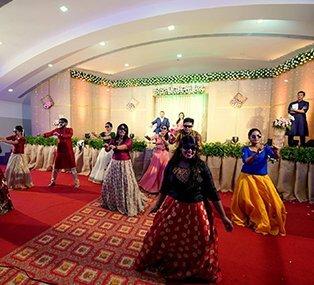 From solo performers, a themed stage performance, mimicry and magicians or to a full scale dance performance, we make sure; it will capture the imagination of your guests. 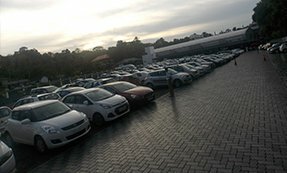 We offer you a long list of choices to decide. Are you looking for a short/ long term delivery only or delivery and waitering contract catering, we offer you a long list of choices to decide. We offer the service of delivering your choices of dishes, hot and fresh at your door step. We will deliver and manage the furniture of your choice with occasion matching presentation. 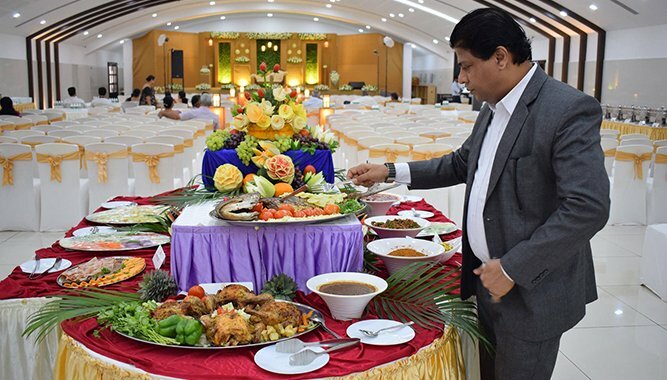 During the function or in the beginning while you are fully engaged in the rituals or welcoming the guests, we make sure the guests are kept engaged and fresh, with a wide range of juice and snacks to choose from. 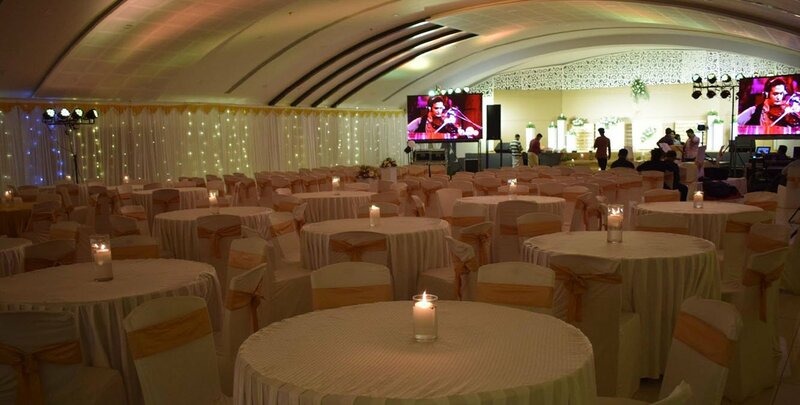 It is important that your guests get personal care and assistance in parking and reaching the venue. It is also important to secure your party by man manning by trained and friendly guards. We offer trained, friendly and fully equipped guards to make sure everything goes smoothly. Venue booking, technical, audio and visual back up you require are our team’s responsibility. Show us the site and leave it to us. We can design a truly personal party for you by bringing together melody and feelings through effective sound systems. We strive to turn your vision in to reality to the highest of standards and we believe sound effect has a major role to play. So all you need to do is relax and enjoy your event whilst we take care of everything. It's important for us to have your vehicles to be parked safely and properly. 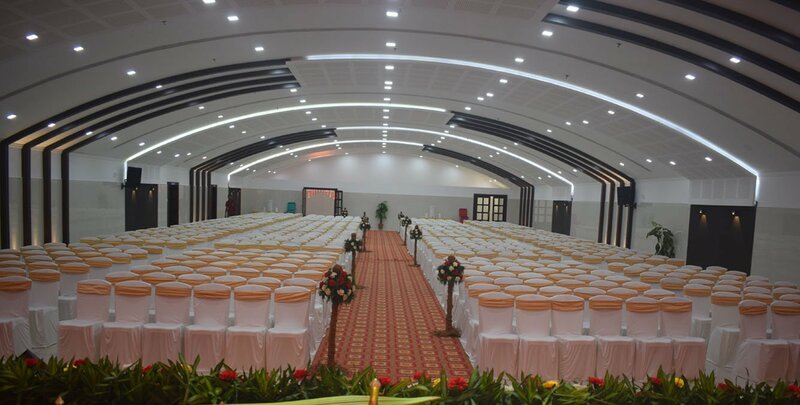 Sunstar convention centre offers parking facility of 500 vehicles at a time.